Announcing our 2019-20 Series of Professional Musicals! Subscriptions and individual tickets are now on sale! World Premiere! Based on the book by Leslie Fram, this hilarious musical comedy follows Layla Diamond who, after listening to advice from her daffy mother, attempts to find and settle down with a divorced man. Setting her sights on a charming sports agent with a needy ex and two obnoxious children, she makes one comedic miscalculation after another and turns her marital quest into a hilarious farce. Patrons' favorite from the Playhouse’s 2nd Annual Florida Festival of New Musicals. National Premiere! 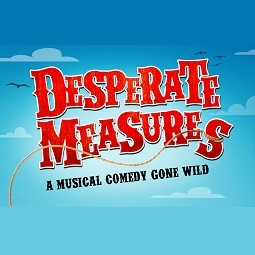 This hilarious, critically acclaimed Off-Broadway musical comedy is set in the 1890s and inspired by Shakespeare's Measure for Measure. When dangerously handsome Johnny Blood must put his fate into the hands of a colorful cast of characters including a wily sheriff, an eccentric priest, an authoritarian governor, a saloon girl gone good, and a nun out of the habit, will they rise up and pull off the greatest caper yet, or will Johnny be left hanging? Winner of 2018 Drama Desk and Outer Critics Circle Awards! 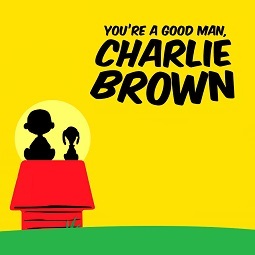 Charles Schulz’s beloved comic strip comes to life in this joyful, classic Broadway musical. It’s an “average day in the life” of the Peanuts gang, from bright uncertain mornings to hopeful starlit evenings. Blockhead Charlie Brown, bossy Lucy, prodigy Schroeder, perfectionist Sally, blanket-toting Linus and lovable Snoopy battle with kites, school, baseball and misunderstandings before finally coming to realize what makes them truly happy. Told from the perspective of six women who came of age in the 1960s, this energetic Off-Broadway musical nostalgically recalls the days of miniskirts, transistor radios and flower power! Celebrating iconic female artists such as Aretha Franklin, Diana Ross, Connie Francis, The Shirelles and Lulu, the show features over 30 of the most memorable songs of the era including “My Boyfriend’s Back,” “Where the Boys Are,” “One Fine Day,” “Me and Bobby McGee” and many more! 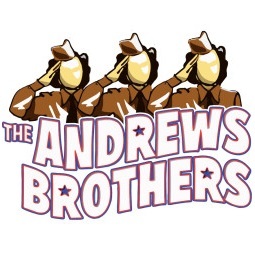 When an Andrews Sisters USO performance is in jeopardy of cancellation, three earnest stagehands are determined to go on with the show. Mistaken identities and madcap adventures ensue… imagine Bing Crosby and Bob Hope in a road movie of Some Like It Hot! This musical comedy is filled to the brim with 30 songs made famous by the Andrews Sisters and other top artists of the era, including the showstoppers “Boogie Woogie Bugle Boy,” “Don’t Sit Under the Apple Tree,” and “Ac-Cent-Tchu-Ate the Positive." 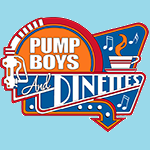 In this Broadway musical, the 'Pump Boys' sell high octane on Highway 57 in Grand Ole Opry country. The 'Dinettes', Prudie and Rhetta Cupp, run the Double Cupp diner next door. Together they fashion an evening of country western songs that received unanimous raves on Broadway and off. With heartbreak and hilarity, they perform highly entertaining toe-tappers such as “Drinkin’ Shoes,” “Farmer Tan” and “The Night Dolly Parton Was Almost Mine!” on guitars, piano, bass—and yes, kitchen utensils.